We are strongly committed to sculpting our medical students, residents and fellows to become experts in the field of dermatology. With a well-experienced team, our department offers exceptional training and experience in dermatologic research, surgery and clinical care. Approximately 30,000 patient visits are made yearly to the clinical service areas within the department of dermatology. All patients are available for student and resident teaching. Patients are drawn from a large geographic area, including all of Iowa, western Illinois, and northern Missouri, which provides first-hand experience with a wide spectrum of diseases. Our department also offers continued medical education. The undergraduate medical education curriculum in dermatology at the University of Iowa Carver College of Medicine consists of a selective clinical clerkship, which can be completed in the third or fourth year of medical school. Our department also provides medical students with a senior elective clerkship, as well as summer opportunities for research or research electives. 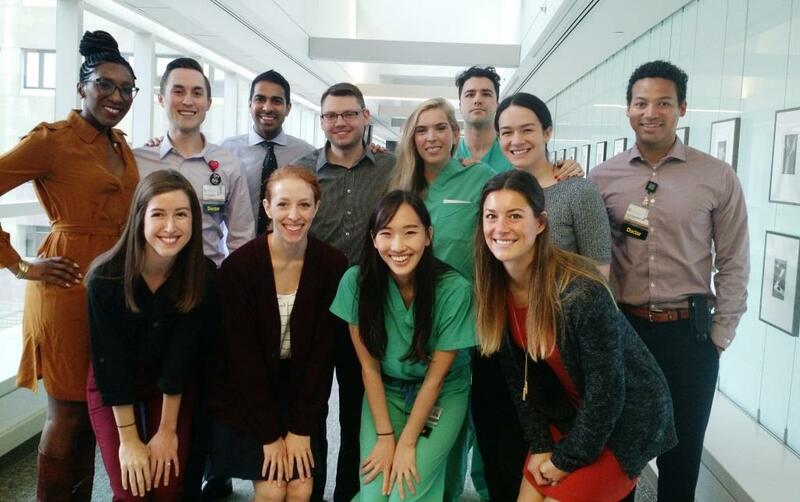 The greatest parts of the University of Iowa Dermatology Residency Program are the outstanding clinical training, the faculty dedication to resident learning, and the enjoyable working environment among residents. The residency program is an ACGME-approved, three-year training program for the development of specialists in dermatology. The correlation of cutaneous pathophysiology with clinical disease and therapeutic response is strongly emphasized in the clinical services. The department has a very active student teaching program since all University of Iowa medical students have a two-week dermatology rotation. There are 15 positions in the residency program with five trainees accepted per year. Residency appointments are for one year; however, residents are expected to complete the three years of training at University of Iowa Hospitals and Clinics. Our residents carry a great responsibility for patient care, under faculty supervision. While the majority of our clinics are general dermatology, residents receive training in specialty clinics including bullous disease, cosmetic, cutaneous lymphoma, surgery, and rheumatology clinics. In addition to clinical rotations, residents do five to six months of Mohs surgery, three to four months of dermatopathology, and three to four months covering the inpatient consult service. Patients are drawn from a large geographic area including all of Iowa, western Illinois and northern Missouri, providing a wide spectrum of diseases for residents to diagnose. In addition to the greater than 30,000 patient visits per year seen at UI Hospitals and Clinics Department of Dermatology, residents also have clinics at the Iowa City VA medical Center four days a week, including Mohs surgery and procedural clinics. The VA clinic is staffed by first, second, and third-year dermatology residents with a third-year resident functioning as “VA Chief.” The VA Chief is in charge of all clinics, procedures, and follow-up from the Iowa City VA.